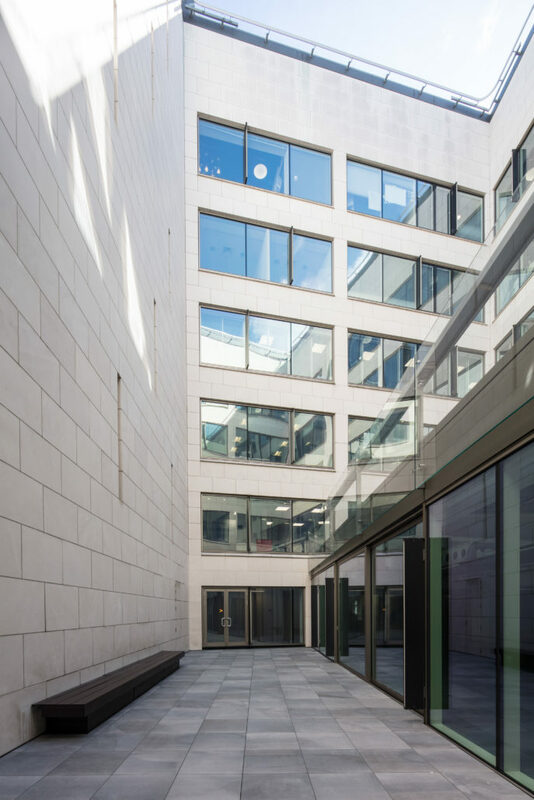 The Directors of JPW Osprey Limited were commissioned as the main contractor to engineer and design the refurbishment of two inner courtyards within this listed building. Works included the design, supply and installation of scaffolding, new limestone cladding, curtain wall replacement, smoke vents, copings, feature lighting and courtyard landscaping. The building remained occupied at all times and works were programmed and completed to suit the tenants.